The image reproduced on these notecards is from an album of paintings on silk titled Birds and Flowers, created by an unknown artist during Japan’s Edo period (1615–1868). 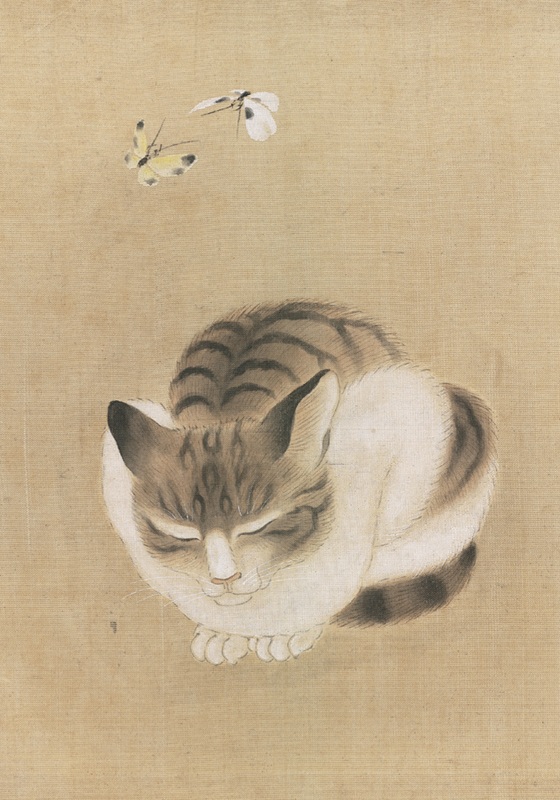 In this delicate, meditative study, we can almost feel the cat’s sleek, silky fur and the soft sunlight in which it basks, hear the whisper of the butterflies’ wings. The quiet beauty of this graceful image, from the collection of the Museum of Fine Arts, Boston, evokes a sense of peaceful repose.